Duluth Harbor Cam: In the Spotlight! This is such a great catch. 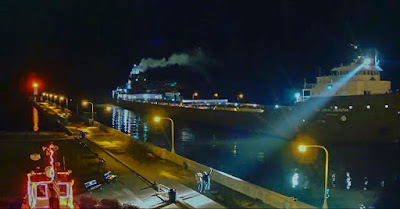 This was the James L Oberstar. A show of appreciation. I was watching when it happened, great photo to remember it. You've Been a Great Audience... Thank You, Good Night!